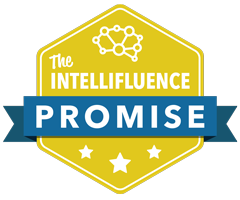 What is the Intellifluence Promise? 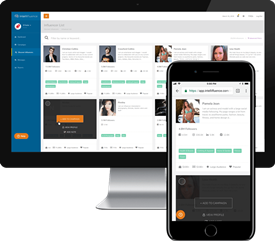 Protect your transactions — with transactions backed by the Intellifluence Promise, brands and influencers can both breathe easy knowing they do not have to worry about someone trying to act with ill intent. For brands, an Influencer can’t just take the money and run as funds aren’t released until a period after the transaction is deemed complete. No more chasing after an influencer that you’ve paid, trying to get work done. For influencers, brands cannot attempt to receive free work because these transactions aren’t allowed to begin until brands prefund the work to be paid out to you after the transaction completes. No more chasing after a brand after you’ve put in your hard work, trying to get paid. Take action only when needed — Intellifluence has always attempted to police its network to the best of its ability while simultaneously maintaining a fierce desire to only interact in transaction threads when invited to do so; with the marked increase in commercial activity, any Intellifluence Promise backed transaction which is flagged will have an admin’s comment/action within 2 business days. Any brand or influencer that is found to be breaking our Terms of Service or is found to be not acting in good faith will be removed to preseve the health and trust of the network. Be reasonable — the fees Intellifluence charges are designed to cover our own payment processing fees on incoming and outgoing payments, as well as administrative labor associated with transactional oversight. Our entire motivation behind collecting and distributing via Payments is to make you more money by reducing risk and friction, increasing the ability for you to scale your use of the network, not to create a ridiculous margin for ourselves. We will make more money by virtue of making it easier for all members of the network to make more money. How does Payments for Brands work? Why am I unable to send a pitch? How can I check my Payments account balance? Is there a fee for using Payments? Can I get a refund on a Payment? Why have I not gotten paid yet?